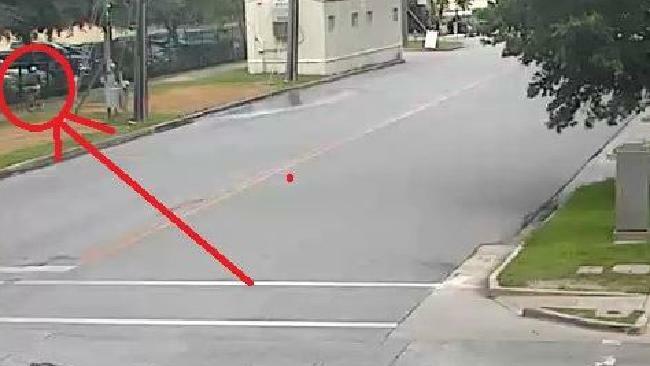 POLICE believe a top cardiologist gunned down at a busy intersection while cycling to work in his medical scrubs was deliberately targeted. But they still have no idea who killed Dr Mark Hausknecht, who famously treated former United States president George H.W. Bush for an irregular heartbeat, or why. 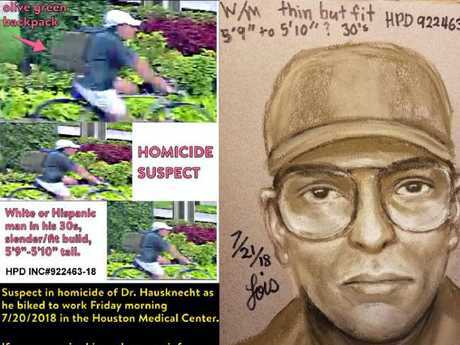 Dr Hausknecht was shot three times in the head and torso as he cycled to work at the Texas Medical Center on the morning of July 20. Police have said the shooter, who was also on a bicycle, rode past the cardiologist then turned around and opened fire. 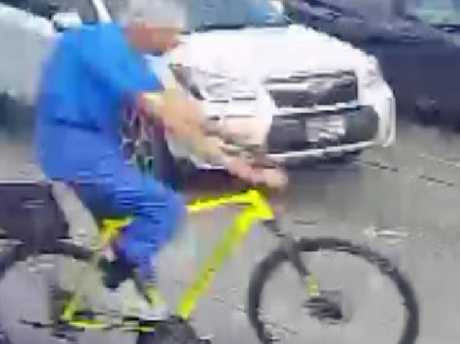 Chilling footage showing a man tailing Dr Hausknecht at a crossing seconds before the murder has been made public in the hope somebody will recognise him. Police have also released a composite sketch of the suspect in glasses and a cap, describing him as a thin, fit, white or Hispanic man between 175cm and 178cm tall and aged in his 30s. 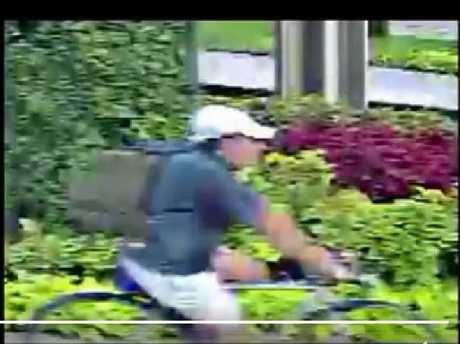 Grainy images show him wearing a blue short-sleeve polo shirt, khaki shorts, a white or khaki cap and a distinctive bulky olive green backpack. 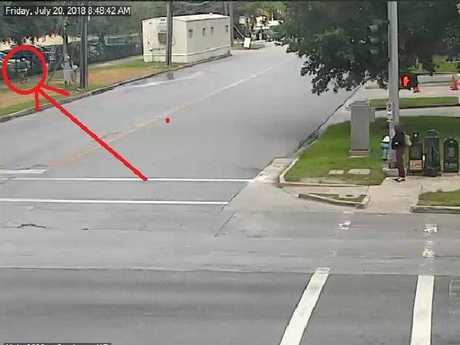 Houston Police Chief Art Acevedo called the case "perplexing" and "truly a whodunit" but said investigators were following up a number of leads. "We're confident and we're hopeful that with the help of the community … we're going to end up identifying this individual and we'll be able to get justice for the family and most importantly justice for this community," he told a news conference yesterday. 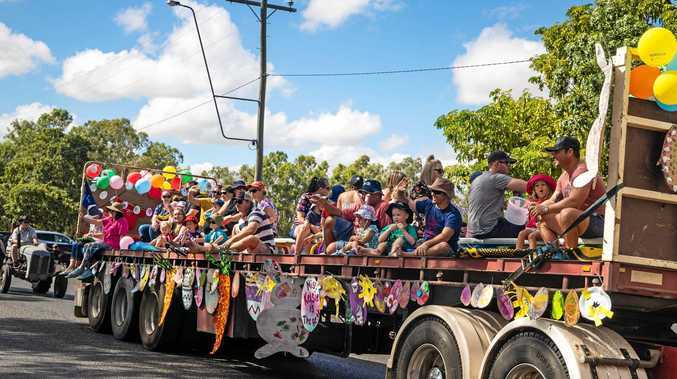 Friends and family have described Dr Hausknecht as a humble and generous man who was passionate about the environment, volunteered in his community, and was adored by his patients. Dr Neal Kleiman, who knew Dr Hausknecht for more than 30 years, told CBS News he was still struggling to absorb the news of his death. "It's like getting kicked in the gut because it's a friend," he said. Dr Kleiman is medical director of the cardiac catheterisation lab at Houston Methodist DeBakey Heart and Vascular Center. The murder, which took place in full view of motorists and pedestrians, has renewed calls for stricter gun control legislation. Earlier this week the victim's wife, Dr Georgia Hsieh, released an emotional statement asking people to write, email or tweet their congressional representatives "urging sensible gun laws". She said those who wanted to honour her husband's memory should "work hard, be responsible, patient, tolerant and compassionate". Flowers, anti-gun posters and a copy of the Bible were placed at a makeshift memorial near where Dr Hausknecht was gunned down. Dr Kleiman said the environmentally-conscious cardiologist loved to grow vegetables in his garden and recycled everything. "He had genuine concern for things around him, including the environment," he told CBS. Homeless man James Pierce, 43, said he sometimes collected cans for Dr Hausknecht for recycling. Mr Pierce had no idea he was a doctor but would exchange pleasantries with him as he rode past him most mornings. "We need to find this guy," he said of the shooter. 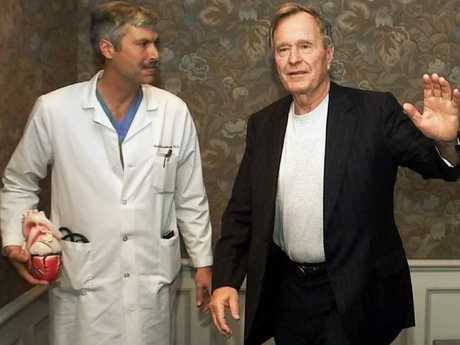 Dr Hausknecht's one-time patient, former president George H.W. Bush, paid tribute to him. "I will always be grateful for his exceptional, compassionate care," he said in a statement. In February 2000, Dr Hausknecht treated Mr Bush for an irregular heartbeat after the complained of light-headedness during a trip to Florida. Mr Pierce stood at an intersection near the shooting Monday, holding up a flyer with the shooting suspect sketch printed on it and showing it to passing cars. "We need to find this guy," he said, hoping someone would recognise the man in the sketch. Who is the cop who didn’t shoot?